In parliamentary systems, a vote of no confidence forces the prime minister from office. The commission that pilloried Ehud Olmert and his cabinet for the failures of the 2006 war in Lebanon was a de facto vote of confidence, even though the Knesset has yet to deliver a decisive de jure vote. (The no confidence votes have already started. Now, it's just a question of which vote will topple the government.) The commission has created the clear political excuse for members of the governing coalition to defect on some convenient issue. Does Olmert's refusal to resign make good political sense? So far, the focus has been on what will happen to Olmert. However, his defiance has as much to do with his party's political fortunes as his own. 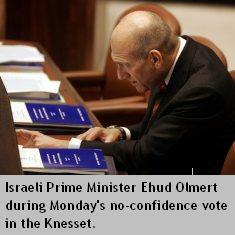 There are serious doubts about the future of the Kadima Party, were Olmert to rout from the prime ministership. Kadima, as you might remember, is the creation of Ariel Sharon, who invited political opponents like Shimon Peres to join the new centrist party. New political parties often cannot survive without their founders--for example, see what happened to the Reform Party after Ross Perot lost interest in it. Without Sharon, Kadima might have collapsed from infighting, but didn't; without Olmert as prime minister, Kadima might die from irrelevance. While Kadima held together under Olmert, it didn’t exactly prosper. For example, the best that Israelis could hope for, with regards to the Palestinians, was a continued “wait and see” policy. The kidnapping of two Israeli soldiers, an incident involving both Palestinian and Lebanese militants, led to Olmert’s decision to go to war with Hezbollah. Wars rarely start for purely foreign policy reasons, and in the Second Lebanon War, domestic politics played a very large part. 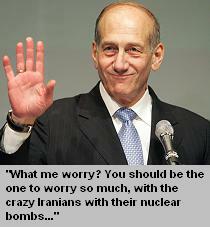 Olmert personally had no military credentials, so his ability to handle a security crisis was in question. However, it would be a mistake to overlook the Kadima Party as a factor in Olmert’s hasty decision. Had he failed to respond effectively to the kidnapping and Hezbollah shelling of Israeli settlements, not only Olmert, but his fledgling party, might have fallen from the Israeli political stage. Olmert obviously sees the commission report from the same perspective as the Second Lebanon War, a trial of strength. By refusing to resign, he hopes to delay his political fall long enough to manufacture some new success, such as a major agreement with the Palestinians. Meanwhile, his Party wants to stay in power, even though some may seek to replace to replace Olmert as prime minister. With the focus on Olmert, it’s easy to overlook the commission’s criticism of the Israeli Defense Forces (IDF). For the second time, the IDF has bungled its strategy, at the theater and operational levels, fighting in Lebanon. Certainly, chasing Hezbollah missiles out of range of Israeli civilians was necessary. Flattening Lebanon in pursuit of an unlikely outcome, the elimination of Hezbollah, was hardly the right approach. Hezbollah did suffer serious casualties and losses of materiel. However, Hezbollah will rise again—in part because southern Lebanon is now off-limits to Israel, given the political backlash from last year’s war. Perhaps the most important changes in Israel, therefore, will be in the IDF. Rather than put an air force officer in charge of ground operations, the Cabinet and the IDF might be having second thoughts about who’s running the armed forces. Israelis will also have to face the reality that technological advantages in areas like air power don’t necessarily translate into the results they want. Unfortunately, future campaigns are more likely to resemble the First Lebanon War than the largely conventional battles in 1967 and 1973. Hezbollah’s leaders might miscalculate, provoking Israel into righteous wrath. Even if Olmert were to reach a deal with Sheikh Hassan Nasrallah over the rocket attacks on northern Israel, a few independent-minded Hezbollah fighters can render such an agreement effectively null and void. In other words, Olmert might wait long enough for Hezbollah to become a problem again. However, the issue that started the 2006 war still hasn’t been resolved. Israelis are angry that their government hasn’t recovered the two hostages, bungling their rescue at a previously unimaginable scale. That, more than many other grand strategic priorities, is what’s making the clock tick down for Ehud Olmert. As I noted in a post last week, the Israeli Defense Forces have been increasingly reliant on airpower as an instrument of its counterinsurgency and counterterrorism strategies. For example, in 2001, Israeli helicopters were the tool of choice for assassinating Massoud Ayyad, a commander in Force 17, the section of Fatah that protected Yassir Arafat. Later that year, a helicopter attack was also responsible for killing Jamil Jaddala, a Hamas leader. The list of air strikes designed to kill the leaders of Fatah, the Al Aksa Martyrs Brigade, Fatah, and Hezbollah is large. Therefore, in 2006, it's no surprise that the IDF turned to airpower again to fight its enemies. Airstrikes have backfired before, but never as horribly as in Lebanon in the last few weeks. 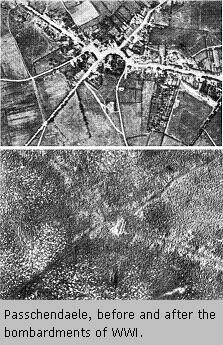 Israel seems to be making the same mistake that the United States did in Vietnam: "Better to send a bullet than a man." However, the bullet can only destroy. Defeating Hezbollah will require more than just property damage, a body count of guerrilla fighters, and a growing list of civilian casualties. Unfortunately, the Olmert government seems convinced that, having launched a failed strategy, their only choice is to see it to its conclusion. It's hard to make of the Israeli government's willingness to talk about an international peacekeeping force deployed on the border between Israel and Lebanon. Is this a way to stall for time, as the Israeli Defense Forces (IDF) tries to complete the destruction of Hezbollah? Or is this a genuine acquiescence to international pressure? Either way, it seems as though the pressure is a reality that Israel can no longer ignore. Does that mean that Israel's assault into Lebanon was a success, or a failure? First, it's important to understand Israeli war aims. A recent Salon article hit the nail on the head: the offensives into Gaza and Lebanon have as much to do with Israeli domestic politics as the real threat that Hamas and Hezbollah pose. In despair since the collapse of the Oslo peace process, Israelis that once voted for peace initiatives are now impatient to see results through more violent means. Ehud Olmert, lacking the military background of some of his predecessors as prime minister, feels the skeptical gaze of the electorate on the back of his neck. Therefore, he gambled on what seemed like "decisive action," expanding the lunge into the Gaza Strip into a lunge into Lebanon. But what sort of decisive outcome was this action supposed to achieve? Perhaps Olmert gambled on a repeat of the Egyptian strategy in the 1973 Yom Kippur War: start a conflict, draw international attention to issues that were not getting resolved (in 1973, the Israeli occupation of the Sinai Peninsula; in 2006, the freedom of action Hezbollah fighters enjoy in southern Lebanon), don't worry about a military victory, but instead get the rest of the world focused on helping Israel fix the Hezbollah problem. Viewed from this perspective, Secretary of State Rice's trip to meet with Lebanese prime minister Fuad Saniora is a good thing, since it raises the international community's investment in curbing Hezbollah. Equally plausible is a different strategy, the same one that Israel pursued in its 1982 invasion of Lebanon: seize the opportunity to swiftly crush the guerrillas launching attacks from southern Lebanon into Israel. Tired of rockets falling on Haifa and infiltrators killing Israeli civilians, the IDF launched Operation Peace in Galilee to push the PLO out of Lebanon. However, that conflict ended badly for Israel. The cost--the even more Hobbesian conflict in Lebanon, the invigoration of Hezbollah, the tarnishing of Israel's national self-image--did not justify the only tangible benefit, the migration of the PLO leadership from Beirut to Tunis. In fact, this conflict might easily turn out as badly for Israel as the Suez Crisis did. In 1956, Israel, France, and Britain believed themselves to be in the right, seizing control of the Suez Canal, which Egyptian President Gamal Abdel Nasser had nationalized. Surely, Israel calculated, the international community, beyond its immediate British and French allies, would see the need to keep the Suez Canal open to global shipping. Instead, the troika that seized the Canal faced international condemnation. At one of the most contentious times for the US and USSR, the superpower adversaries joined in demanding the immediate withdrawal of Israeli, British, and French forces from the Suez Canal. Looking at the current Lebanon crisis, it seems a Suez-like outcome is more likely than the Yom Kippur-like one. The rest of the world, the United States and Great Britain in particular, do not have the political, military, or economic resources to invest in a difficult, expensive resolution of the Hezbollah problem. The most the United States can do, under the circumstances, is choose whether or not to denounce Israel. While the United States isn't the only country capable of helping, it doesn't help to have the country with the most influence over Israel in no way capable of sustaining a general diplomatic effort to resolve the Lebanon crisis. Who knows--the Bush Administration might seize the moment to rebuild the credibility and confidence it lost in Iraq. Or, more likely, the Administration may continue to give the Israelis a free pass in Lebanon, as it has done with other issues, most significantly settlements. As in other matters, the well-understood habits of the Bush Administration seem to be the best guide to its future behavior. In many Middle Eastern countries, conspiracy theories are practically a national sport. Sometimes, the conspiracies are even true. Such is the case with the stand-off in Gaza. The Palestinian militants holding an Israeli soldier hostage probably wanted something more than their ostensible demands, the release of 1,000 Palestinian prisoners and an end to the Israeli assault in Gaza. In fact, they've already succeeded at achieving their overarching goal, yanking the new Hamas-led government from the brink of peace. Events are following a predictable, awful course. 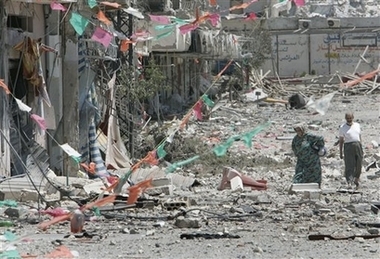 Israeli troops invade the tiny region of the Gaza Strip. Palestinian militants--those who kidnapped Corporal Gilad Shalit, and others who are capitalizing on this opportunity--make hotly-worded declarations. The Israeli Air Force attacks buildings where the most militant elements of Fatah and Hamas live and work. Innocent bystanders are injured, and the attacks damage the electrical grid. The referendum that Palestinian Authority Chairman Mahmoud Abbas proposed is quickly forgotten. Just as the siege of Arafat's compound temporarily united quarreling Palestinian factions, the current confrontation forces all Palestinian parties into a united front. The crisis erases any chance that Hamas would move towards a begrudging coexistence with its Israeli neighbor. What we're seeing is, in a nutshell, the fragility of Israeli-Palestinian politics. At any moment, a single hostage, or a single attack, returns both sides to the default position of bloody conflict. If there is any hope for Israel and the Palestinians, it requires leaders on both sides who can respond differently to familiar provocations. Even without Arafat and Sharon, who indirectly collaborate to destroy any policies with the words "peace process" stamped on them, that conflluence of joint leadership has yet to materialize.